If you are lucky enough to have 3 whole days in one of the finest cities in the world, you don’t want to miss out on any of the best bits. With our “Barcelona in 3 days” article, we’ve compiled some suggestions for how to spend 72 hours in the capital of Catalonia to help you make the most of your stay. Start your sightseeing extravaganza with a visit to La Sagrada Família where you can marvel at Antoni Gaudí’s most impressive piece of work. In our previous article ´What to do in Barcelona in 1 Day , we suggested looking at it from the outside only, but if you have the time, it’s well worth a visit inside. A structure as impressive as this deserves at least 2-3 hours of your time so put aside a morning or an afternoon. 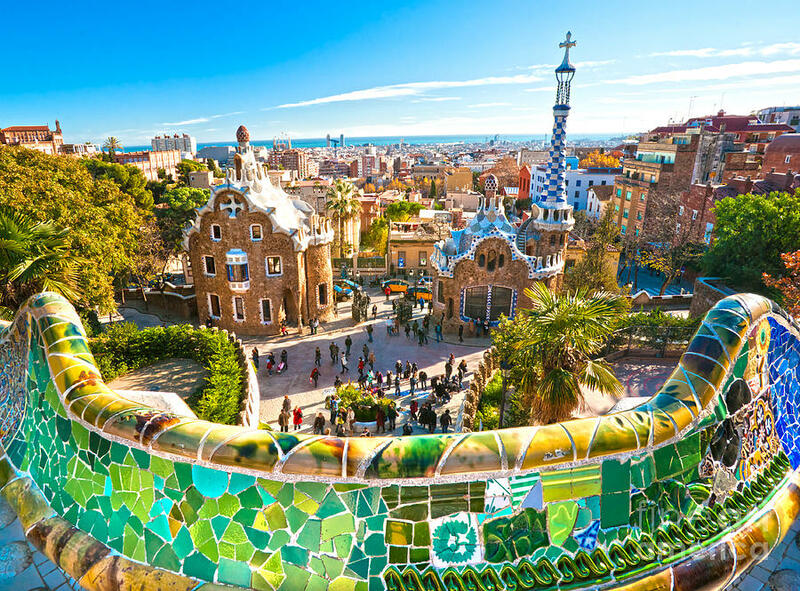 After that, go to Plaça Catalunya and Barcelona’s most famous street, La Rambla, where a gentle amble will take you past street artists, one of Europe’s best food markets – La Boqueria – and Gran Teatre del Liceu. Close to the theatre (Carrer d’en Quintana, 5) you’ll find one of Spain’s oldest restaurants, Can Culleretes. It dates back to 1786 and is a great spot for sampling some local delicacies. 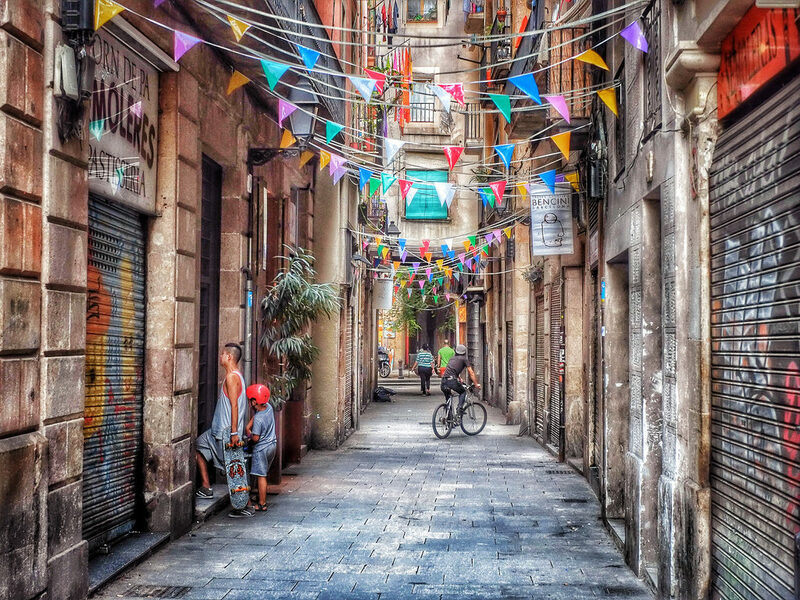 Next, head to the district of El Born where we recommend visiting the Picasso museum. Admission to the collection and Mythologies exhibition will cost 11 Euros. Alternatively step further back in time for your cultural fix at Mercat del Born . In February 2002, while the former market was being transformed into a public library, medieval artefacts were unearthed in excellent condition. These artefacts tracked the urban development of the Barrio de la Ribera from the 14th century until it was destroyed in 1714 at the end of the War of the Spanish Succession, a fascinating slice of the region’s history. Begin your second day in Barcelona in Park Güell where a standard adult entry ticket will only set you back 8€ . Originally designed as a residential building, this dreamlike park was constructed for Gaudí´s wealthy patron Eusebi Güell at the start of the 20th century. Park Güell is now a public space and a UNESCO World Heritage Site. Visitors to the park will enjoy Gaudí’s signature style throughout the park as well as spectacular views of the city. Don’t miss the Gaudí House museum and the famous mosaic-covered lizard. From Park Güell, make your way to one of Barcelona’s hippest restaurants, El Nacional . This restaurant on Passeig de Gràcia boasts four specialised bars and four dining areas serving typical dishes from across Spain and can seat nearly 800 diners. It began as a theatre café in 1870 and is housed in a beautifully renovated industrial modernist era factory building. After lunch, we recommend you continue your Modernist trail up Passeig de Gràcia to Gaudí’s stunning Casa Batlló. It’s hard to believe that this was once a dull apartment block before Gaudí transformed it into one of Barcelona’s most impressive buildings complete with ornate balconies, attic space and eye-catching ceramic façade. Entry for adults costs 22€ and it’s worth every cent for those who appreciate Modernist architecture. Your next and final stop on day 2’s Modernist route is Casa Milà, also known as La Pedrera. The construction of this UNESCO World Heritage Site took place from 1906 to 1912 and it features impressive patios, the Pedrera Apartment and an enchanting roof terrace. Tickets to this spectacular structure cost around 22€ for adults. Having explored the city’s Gothic features, marvelled at the Modernist buildings and sampled the local delicacies, we suggest heading to Montjuïc for your last day in Barcelona, beginning with a visit to Las Arenas shopping mall. Built in 1900 in the Neomudéjar style typical of 19th century Spain, it was bullfighting ring until 1977. Take in its distinctive red brick façade before heading inside for a spot of shopping or something to eat. More restaurants can be found on the roof terrace which also has amazing 360 degree views of Barcelona and Montjuïc. Not far away lies Poble Espanyol (Spanish Village). Poble Espanyol, built in 1929, houses over 100 buildings displaying architecture from across Spain’s distinctive regions and is a wonderful example of an open-air architectural museum. 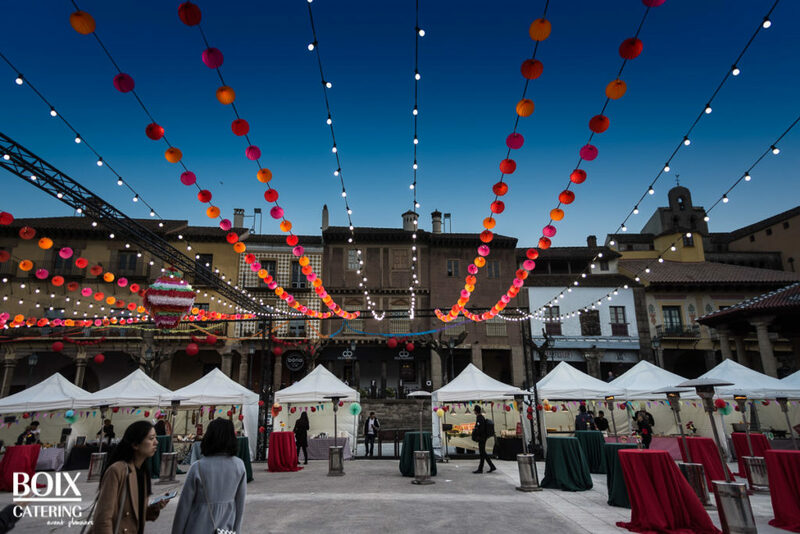 As well as allowing visitors to admire Spain’s diverse architecture and influences, the village has a wonderful variety of eateries, cafes and beautiful craft shops to ensure you don’t leave hungry or empty handed! Tickets cost 12€ for adults. Next make your way to Montjuïc Castle which sits 170m above sea level on the top of Montjuïc hill. Getting here is super easy. If you’ve over-indulged on patatas bravas you may want to walk up the winding paths and admire the city views as you climb, while those wishing to make a more serene entrance can take the cable car up the hillside. Montjuïc Castle is a military fortress dating back to 1640 and has played a key role in Catalan historical events and is brilliant for exploring and savoring the beautiful cityscape. Adult entry is 5€. 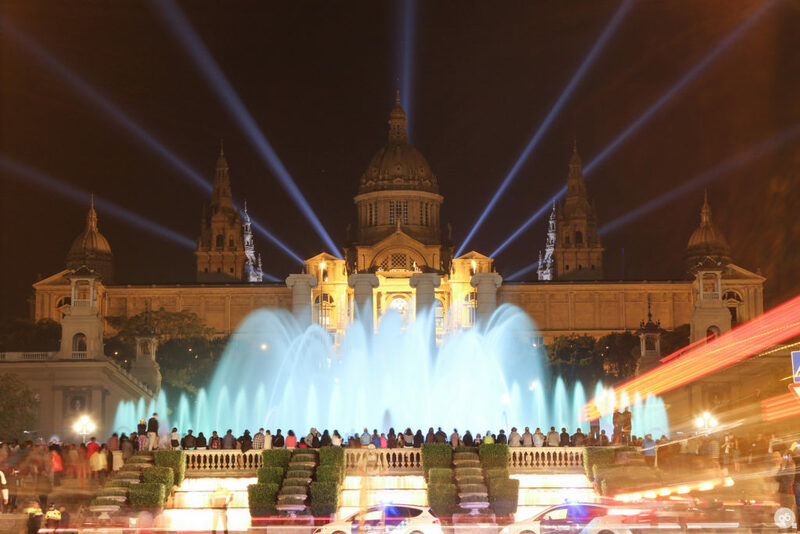 Finally, end your third day on a magical, musical high with the light and water show at La Font Màgica de Montjuïc. This enchanting event attracts over 2.5 million visitors every year and is free to view with no booking required. Simply turn up and get carried away! Designed by Carles Buïgas, the fountains give the impression of cascading water from the top of the hill at the Palau Nacional Building, down to Plaça Espanya at the bottom. 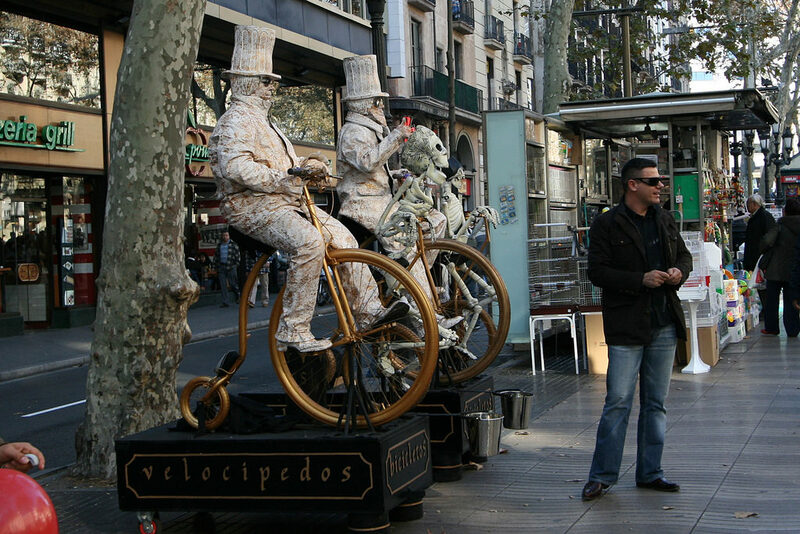 So, there you have it – an action-packed itinerary for 3 days in Barcelona. We hope you enjoy your stay!